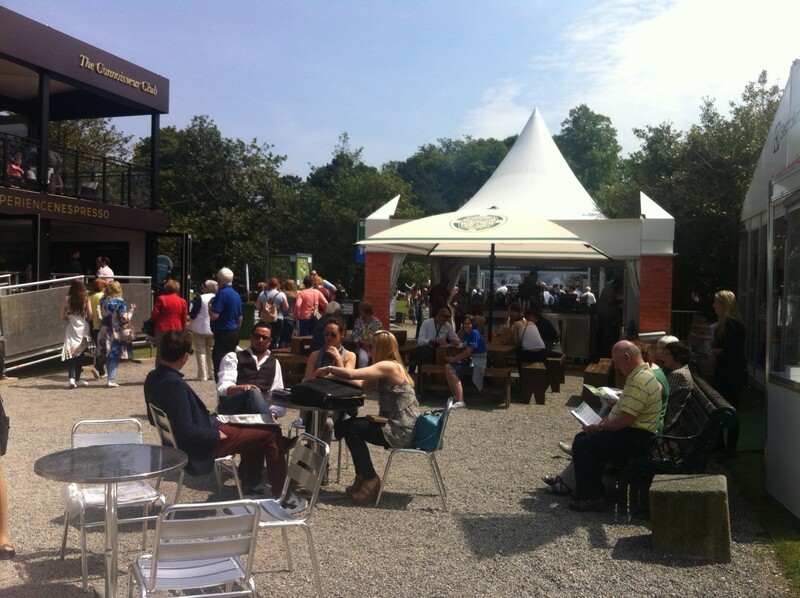 Taste of Dublin 2015 started off in glorious sunshine at Iveagh Gardens on Thursday 11th of June 2015. The festival, which is in its 10th year is the biggest food festival and is a mix of food tastings, workshops, talks by top chefs and many of the capital’s best restaurants and food providers displaying their wares. Richard Corrigan of Virginia Park Lodge, Stephen Gibson of Pichet and Kieran Glennon of Restaurant Patrick Guilbaud also giving talks. In the later session Michel Roux of Le Gavroche and Gavin McDonagh of Brioche wowed the crowds. 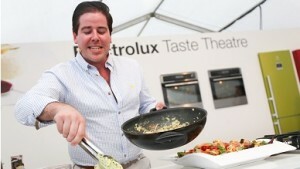 Most of Ireland’s top chefs are due to make an appearance during the festival which ends on Sunday. These include Sunil Ghai (Jaipur), Rachel Allen, Mark Moriarty (The Culinary Counter), Ross Lewis (Chapter One), Kevin Dundon (Dunbrody House), Neven Maguire, Monica Galetti, Oliver Dunne, Derry Clarke (L’Ecrivain) and many more. Anyone in Ireland with an interest in good food will be familiar with most of these and to have them all in the one venue is an oportunity not to be missed. I was sitting at a table enjoying some Steak and Chips from the Chop House (served by a waiter from just-eat.ie the new on-line takeaway service) when a man beside me said. : “I find the currency here very hard to understand”. Without thinking, I said “Where are you from?” As soon as the words were out of my mouth, I realized he was from Dublin and of course he was referring to the ‘Florins’ which is the currency for paying for everything at the festival. They are tokens in 1, 3 and 5 units. Many of the tasting dishes cost from 4 to 7 Florins. A Florin is essentially a Euro. There are kiosks throughout the grounds where your Euros can be exchanged for florins. The array of cuisines on offer is to large to detail here but suffice it to say that almost every cuisine to be found in Ireland is represented here. I sampled some Hereford Steak and Chips from Chop House, Kerala Prawn Curry from Jaipur and some Pork and Prawn Dumplings from Diep Le Shaker. As I didn’t want to be too greedy I resisted the Lobster Roll from Rock Lobster, The Organic Salmon from Brioche, The King Scallop from Matt The Thresher (big queue at this one) or the Pork Belly from Marcel’s. There were many others doing a brisk trade. One of the outstanding features I noticed at this year’s festival was the proliferation of exhibitors of Craft Beers and small distilleries which have begun to spring up around the country. 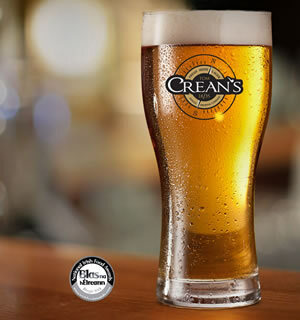 Two which caught the eye were Creans, named after the South Pole Explorer Tom Crean and The Dingle Distillery which produces Dingle Gin and Vodka. There were numerous other producers on display including Wexford 1798, The Teeling Whiskey Company and Shortcross Gin. Throughout the festival there are some live bands at various locations throughout the grounds. They have avoided the mistake which often happens at these events where the music is too loud. The music here is not too intrusive and provides a pleasant background. On Thursday we heard Peter Mooney from Sligo entertain the crowd. Is there a better food festival anywhere? I can’t imagine it. 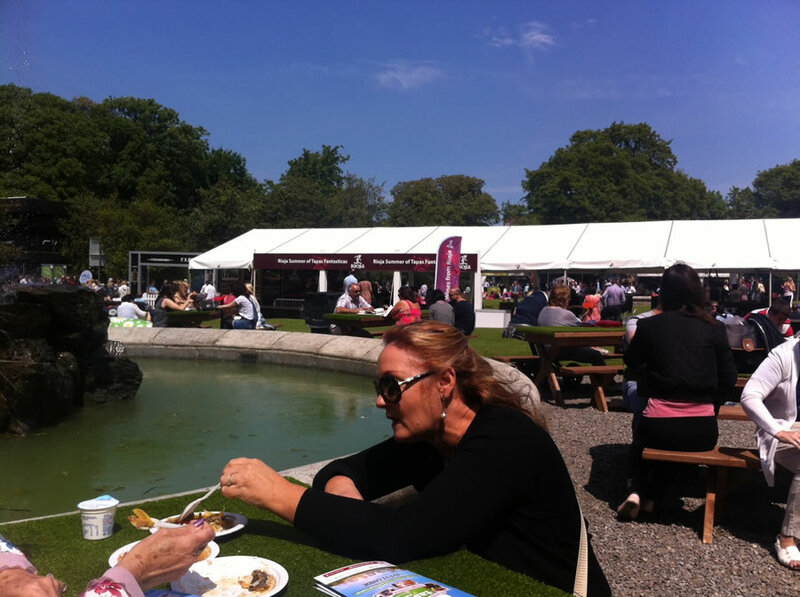 Great food, very pleasant surroundings, big crowds (booked out for most of the rest of the week), top chefs, great buzz – what more can we ask for? It is also very well organized, kept very clean, (cleaners on duty all the time making sure there’s no rubbish lying around etc.) adequate seating and this year it has been blessed with great weather also.